They said this has a bittersweet end, and with that fact laid out in the open for me to expect, might as well have myself prepared. Still, I cried. 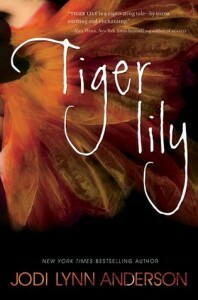 It seems Tiger Lily took it a lot better than I did. This retelling had me hating the version of Wendy Darling here. I mean, I've always wanted Wendy to have a happily ever after with Peter in the original story, but in here, I wish she never crossed paths with Peter. Or anything related to Neverland, for that matter. I need a minute. God, I actually need a fluffy good-feel book later to help me move on from this story.